I would like to turn off the notifications for private messages on my MT4 ios App. How can I do so? This is turned off in my MQL5 settings on the browser. Do I have to choose something similar on the app? Thanks for your help already in advance! 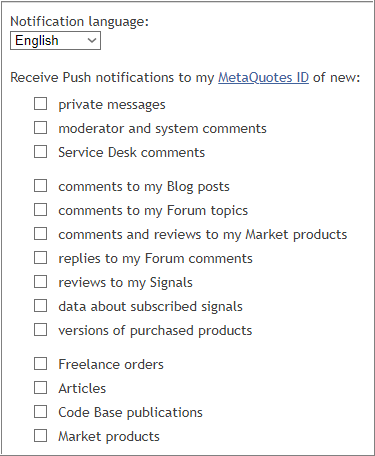 Even More Notifications from MQL5.community! As you can see I already turned off the notifications. But I still receive them. Am I missing something? I am not receiving notifications (I do not have personal experience with it sorry).